Most people love a sweet treat, but some health-conscious individuals are not willing to jeopardize their health just to satisfy their taste buds and they do not have to. For instance, when it comes to picking between frozen yogurt and regular ice cream, both deliver cold, creamy goodness, but one of them surpasses the other in contributing to overall wellness. According to the Government Dietary Guidelines, ½ cup of ice cream has 4.5 grams of fat, while the same amount of yogurt contains only 2.5 in comparison. Heart disease, Hypertension and Obesity are some of the dangerous conditions connected to concentrated amounts of fat. A healthy gut is crucial for proper digestion. 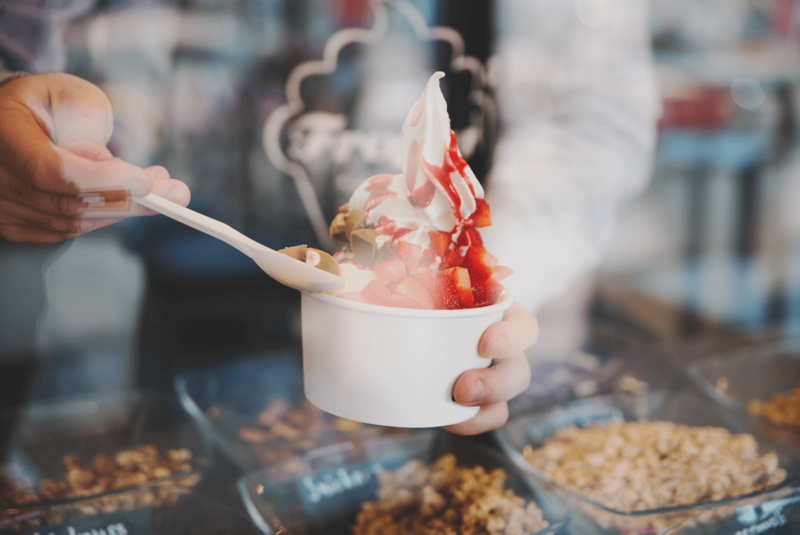 Studies show frozen yogurt with probiotics adds beneficial bacteria to the small intestines, which can result in keeping pathogenic organisms such as Candida in check, lowering serum cholesterol and eliminating inflammatory conditions, along with constipation. Some individuals cannot properly absorb the lactose or sugar molecules that occur in milk, which can lead to gastric distress. It seems, when frozen yogurt was given to the people with milk intolerance, many of them were able to enjoy eating this type of dairy product without any problems because lactose is fermented when making yogurt, causing it to assimilate much easier in the digestive tract. Many times, ice cream has additives including a listing of chemical-like names that are hard to pronounce, as well as dyes. When it comes to frozen yogurt, in most cases, it is made simpler and with more natural ingredients than the addition of odd substances. In general, frozen yogurt provides a delicious way to get more vitamins and mineral in your body, including calcium, potassium, magnesium, zinc and much more, without the extra fat and calories. As you can see, frozen yogurt wins when it comes to the advantages it has over ice cream.